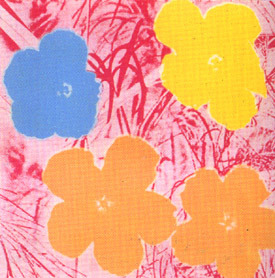 Andy Warhol Flowers series originally debuted in 1964 as a set of paintings. 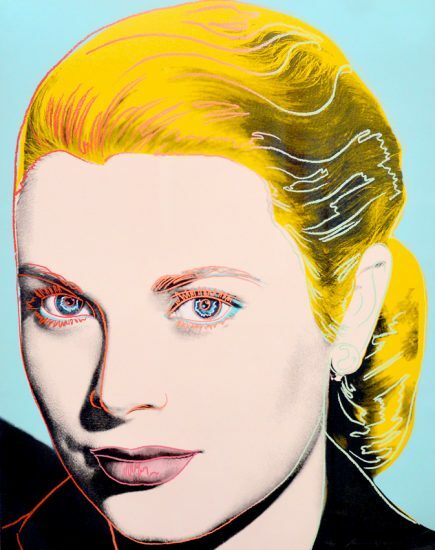 Rather than incorporating images from pop culture and mass media, he found the original photo for this series in a magazine titled Modern Photography. The original photographer was Patricia Caulfield. 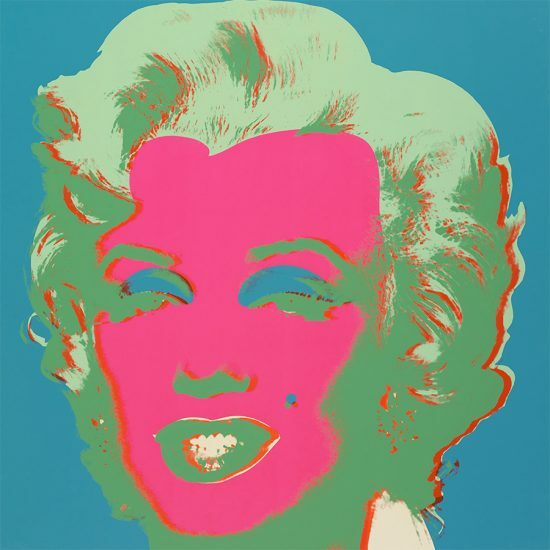 Warhol first exhibited these works as part of his first show at the Leo Castelli Gallery. 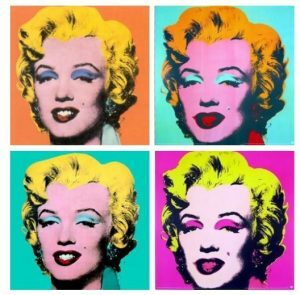 For the most part, Warhol stuck to the square canvas. 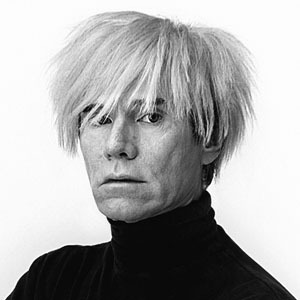 Initially, Warhol only painted on 48 and 24-inch canvases. However, for a later gallery show, he included additional canvases of 14, 8 and 5-inch squares. 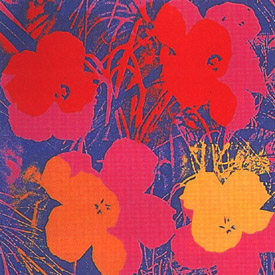 To create these works, Warhol manipulated the color of the flowers to become much more vibrant against a dynamic background. The image was also cropped to fit into the perfect squares canvases, ensuring the paintings can be viewed from any angle. The appearance of the flowers has drawn comparisons to Matisse’s cutouts and Van Gogh’s colorful bouquets. 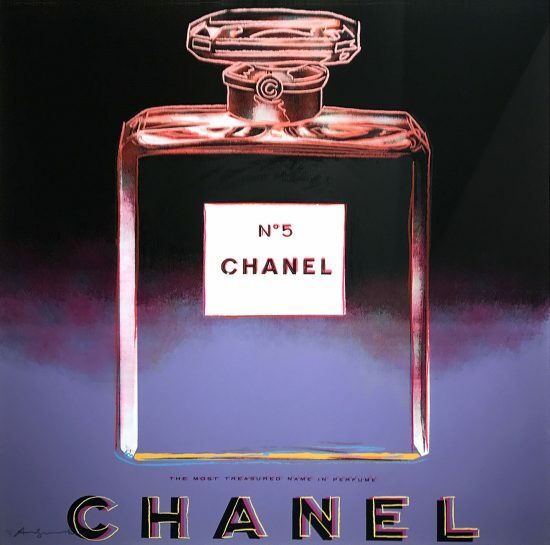 Without a doubt, Warhol’s decision to illustrate still-life is filled with symbolic and historical significance. 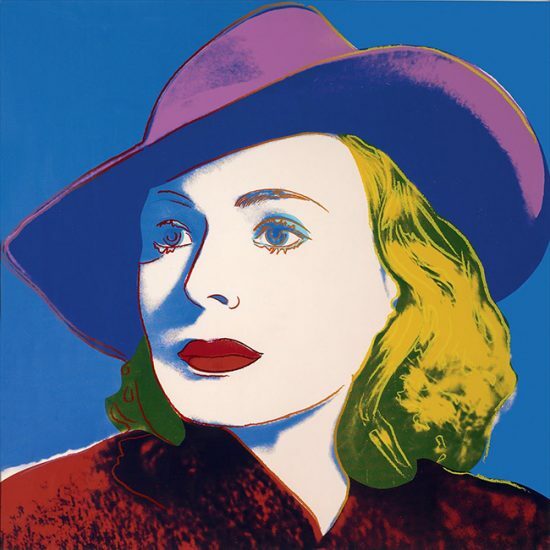 The first Flowers portfolio coincided with Warhol’s Disaster series, and followed his Thirteen Most Wanted Men series. To provide context, the Disaster Series featured silkscreen paintings of Jackie Kennedy after the assassination of John F. Kennedy and Thirteen Most Wanted Men was a controversial series of portraits showing the faces of real criminals. Compared to these two series, the abrupt change to colorful still-life creates an interesting juxtaposition between tragedy and celebration. In every way, the Flowers portfolio creates a relevant connection to the two aforementioned series. Flowers are a symbol of fragility and purity, two concepts which stand at opposing ends with the violence associated with the criminals of the Thirteen Most Wanted Men. Furthermore, flowers can also a funerary symbol relevant to the assassination of President Kennedy. 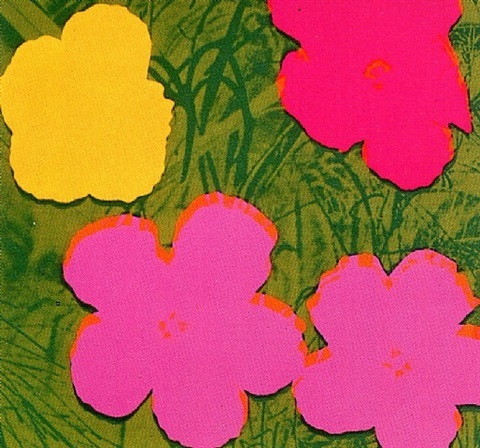 It is also suggested that the series gave rise to the term “flower power:” a term which was used in the 1960’s regarding the non-violence movement. Supporters often wore clothing with embroidered flowers in vibrant colors, and distributed flowers to the public. 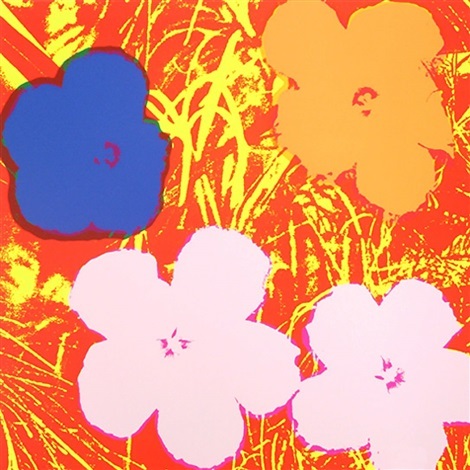 Certainly, the psychedelic color of Warhol’s Flowers is easily seen as a dedication to the movement. 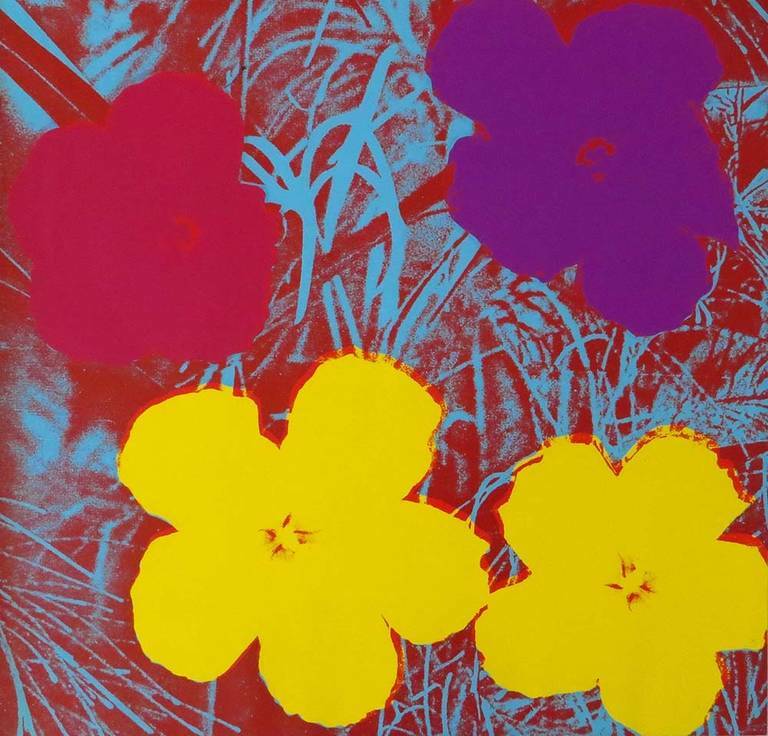 Of this, Warhol’s longtime assistant has said, “when Warhol and that whole scene made Flowers, it reflected the urban, dark, death side of that whole (Flower Power) movement. And as decorative art, it’s pretty dense. 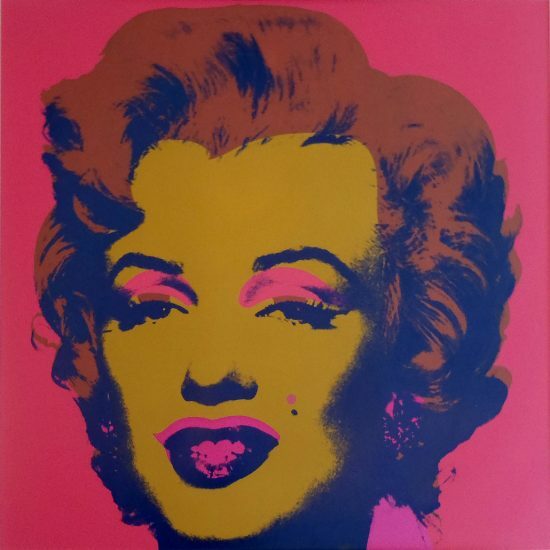 There is a lot of depth in there.” As always, Warhol carefully reveals there is more than meets the eye even with familiar imagery. 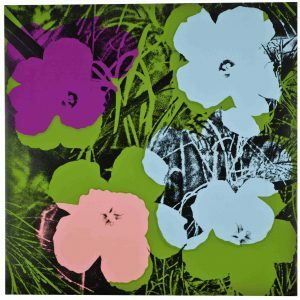 Warhol reproduced the well-known imagery as a portfolio of ten screen prints on paper called the Warhol Flowers screenprint series. The seriality of the prints mirrors the visual effect of a real-life bouquet. 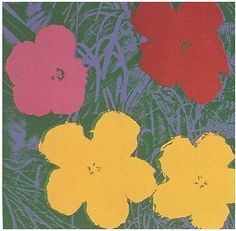 Furthermore, the flowers appear even more flattened in the print medium. This flatness allows the flowers to seem childlike, no longer a realistic representation of nature. Each print varies slightly, from the colors of the hibiscus to the shading in the background. 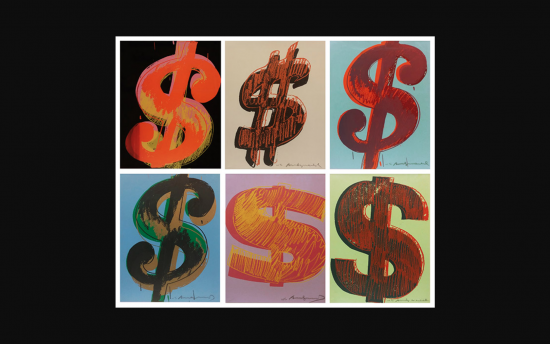 In this way, Warhol allows viewers to engage in multiple ways with a single image.